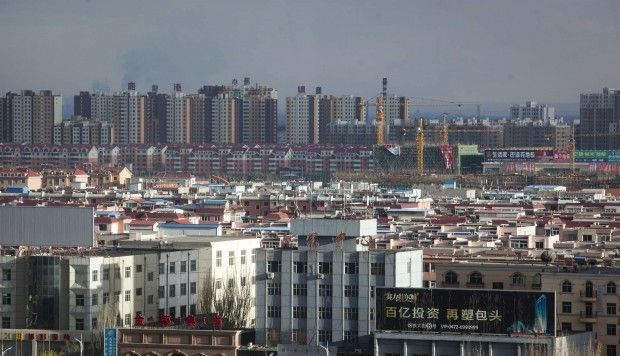 Chinese billionaires and CEO`s have reportedly been missing and re-appear days or weeks after without a proper explanation of where they went. 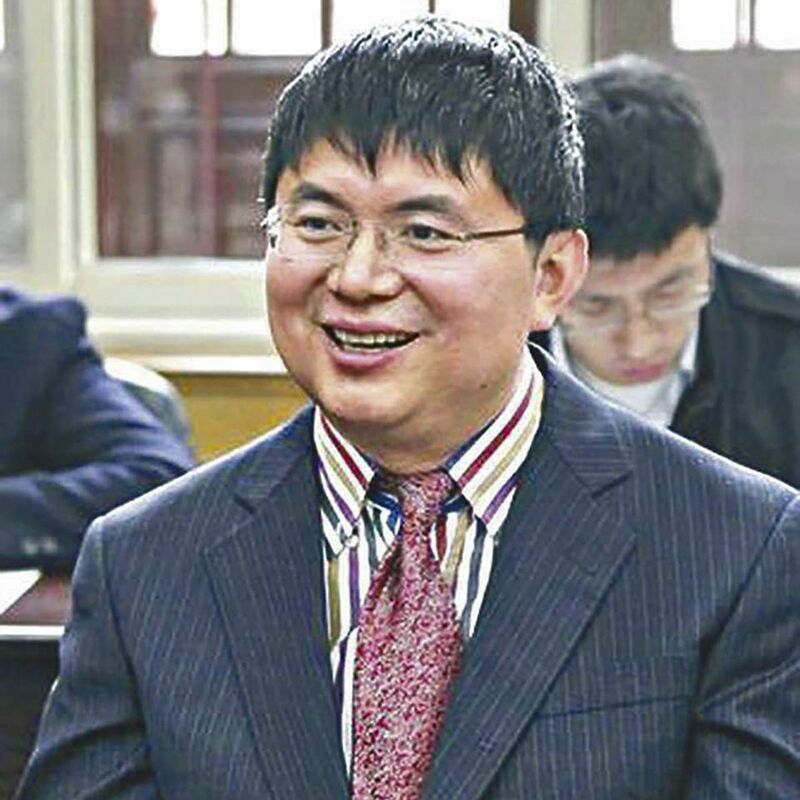 Reports says, in the last 12 months Chinese businessmen have been mysteriously missing and now the total number of those that went missing is 34 with the latest being “ Xiao Jianhua”, a Chinese born Canadian who was kidnapped in a hotel in Hong Kong. As the investigations are underway, Hong Kong police have released CCTV footage which shows Xiao being escorted by security agents from the hotel without any struggle on January 27. It is believed that these disappearances are linked to an anti-corruption campaign which is in process that has supposedly brought down a number of government officials and corporate executives. Mr Xiao`s company, posted two comments on social media accounts related to his missing but were later deleted saying Xiao was recovering from an illness. 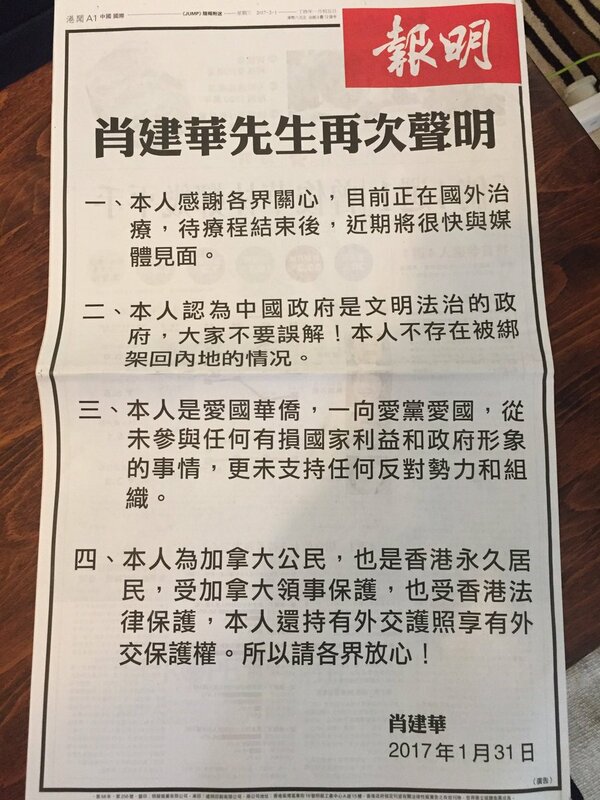 The Chinese newspaper called “Ming Pao” published a front advert on Saturday supposedly written by Xiao. ” Let there be no misunderstanding! It`s not true that i have been abducted and taken back to the mainland”.” I`m a patriotic overseas Chinese and I have always loved the (ruling communist) party and the country”. Just recently, Mr. Xiao denied claims that he fled to Hong Kong following the ongoing anti-corruption campaign in china. Xiao is being suspected to have been connected to anti-Xi coalition and could have been targeted because he knows embarrassing details about the fiancés of major Chinese players.